The Costguard SC10-11 is a Total Water Treatment System for Steam Applications. The Costguard SC10-11 Steam/Combi Filtration System improves performance, maximizes energy efficiency and increases the life of steam equipment. The Costguard SC10-11 Filter System reduces chlorine-induced corrosion. The Costguard SC10-11 Steam/Combi Filtration System features drop-in style filter bowl housings. 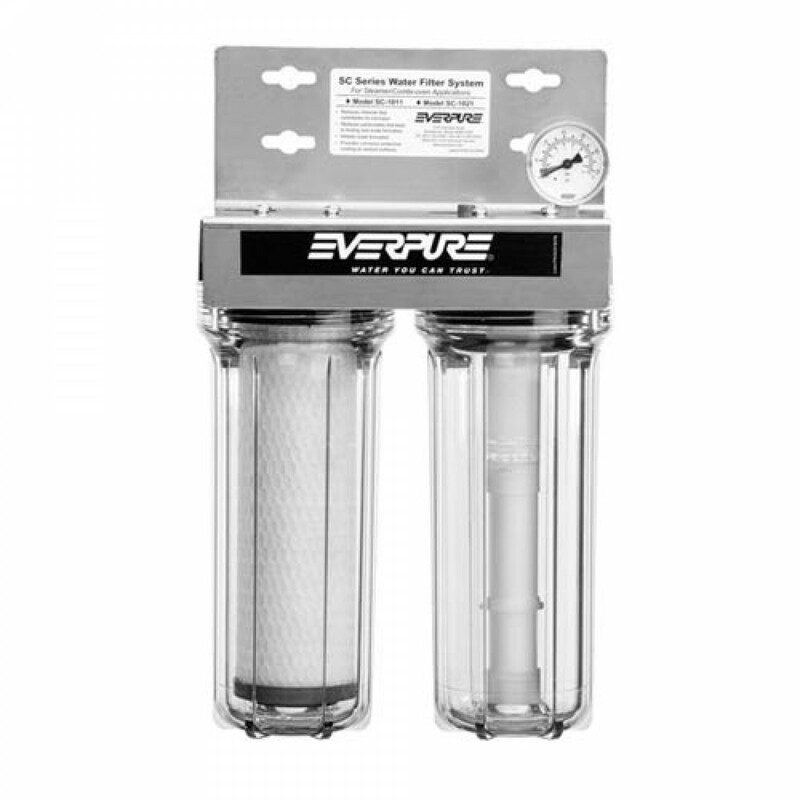 The Costguard SC10-11 Dual Filter System uses one 10-inch carbon block cartridge for particulate and chlorine reduction and one 10-inch scalestick cartridge for scale control. The Costguard SC10-11 Steam/Combi Filtration System has an outlet pressure gauge that comes pre-assembled onto header assembly. The Costguard SC10-11 Filter System is for commercial steam applications. The Costguard SC10-11 Filtration System is for use with foodservice steamer and combi-oven applications. 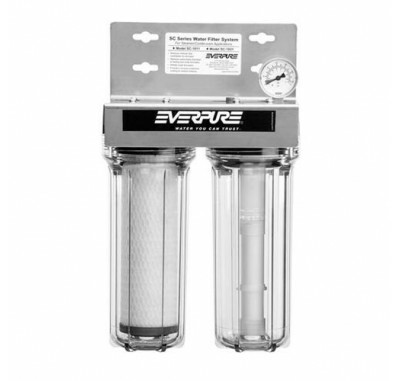 Everpure part number EV9797-82 or EV979782.